Last week, I confessed that I had fallen off the wagon this last year and I have been so touched by your outpouring of love and encouragement that it really gave me wings!! So first of all: a BIG THANK YOU to all of you, my friends! Since then I started my fitness challenge at my local gym and…..whooooohhoo am I having fun!! I feel rejuvenated having followed my own advice: a little lighter in my body, both psychologically and physically and just plain re-energized! I hope some of you are really with me on this because there is no way to do this without moving our bodies and just starting to use some muscles we may have even forgotten about along the way (OH MY GOODNESS, my abs hurt!!). Anyway, here we are, keep doing what you are doing, keep simplifying your menu and keep moving! I’d love to hear from all of you how this made you feel too, as it’s always so invigorating to know you are not alone! Maybe someone in his or her kitchen in Germany, or in England, or Australia or anywhere in the world was simplifying his her menu, Cuisinicity style, just the way you were: How cool is that? 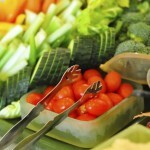 I decided to update this post because there is nothing new under the sun, and what applied last year about healthy eating still applies this year and will apply next year and next, so this is a refresher for those of you who read my blog before and for those of you who haven’t…GO RE READ IT from start to finish (really, I insist! There are at least a couple surprising ideas you may not have thought of, and that will “save the day” for you to stay on track! 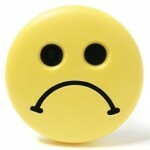 ), I invite you to leave me a comment on this post and let me –and all of us– know how you’re doing! and please do not hesitate to respond to one another, as long as it’s encouraging and always in solidarity! So here you go: Are you still with me? There are many reasons that people reach for a snack. They range from alleviating hunger (or the fear of going hungry! ), to dealing with stress, anxiety, tension or even boredom. Whatever your particular reason–and indeed it may be helpful to identify your own motivation at any given time so you can address it in a more productive way-snacking can be done optimally so that you do not undermine your health and keep your weight in check. By that, I mean choose from a relatively short list of food so you don’t start grazing from one snack to the next and overstimulate your appetite center. I have described this phenomenon based on the neuroscience of appetite in a prior post here. It’s called sensory specific satiety. Basically, it is the tendency to feel full and stop eating when flavors are relatively limited and to stay hungry and keep eating when flavors are excessively diverse. So this is definitely something to keep in mind when snacking! BE MINDFUL OF THIS RATIO! 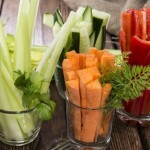 Plain raw veggies and majority of Fruit are a good example; they are low in calories and high in nutrients, including mineral, vitamins, fiber. Snacks that fall in this category are great and you can munch on them as much as you’d like, the more variety the better! Here is a good ratio that’s not so obvious: A snack can be high in calories as long as the calories are “worth it” in terms of nutritional value. 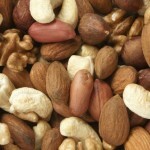 Nuts and seeds are a good example of that ratio. The reason that they are still good choices is that they are filling/satiating and make up for the calories they provide by reducing eating at other times. So, remember to include those but in smaller quantities–a little goes a long way, you’ll be surprised! A candy bar, donut or Starbucks sugary drink concoction are good examples; These are very high in calories and don’t give you back good nutrients in return; they are full of sugar and fat and not much else of any inherent nutritional value. I hasten to specify “inherent” because food companies are at liberty to throw in fortification/supplements in junk food to make it appear nutritious, but don’t be fooled even by those! 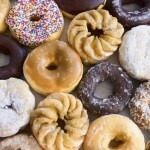 My husband has written extensively about it–Fortified junk food is still junk food! This category of snacks is nutrient-empty and may satisfy you momentarily (and maybe not!) but leave you wanting more- a formula for “disaster”: Limit those! Let me take you on a little tour of my kitchen! 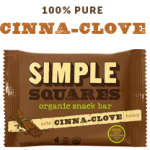 It is filled with wholesome simple snacks that fall within the spectrum of the first 2 good ratios! I even let you in on the specific brands that David and I (and the kids!) enjoy in our own home, so you know that they meet not only our nutritional standards but also have passed our yummy test!! 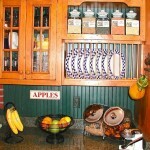 I always have fresh fruit on the counter (and in the fridge) handy and ready to go! You can eat it whole or sliced up, dipped in plain fat-free yogurt with a sprinkle of cinnamon and honey or in a little (that’s key–a little goes a long way!) natural nut butter (no sugar or salt added). You can also incorporate fruit in smoothies (and veggies for that matter–I wrote a post about “Fresh Smoothies” last week here). 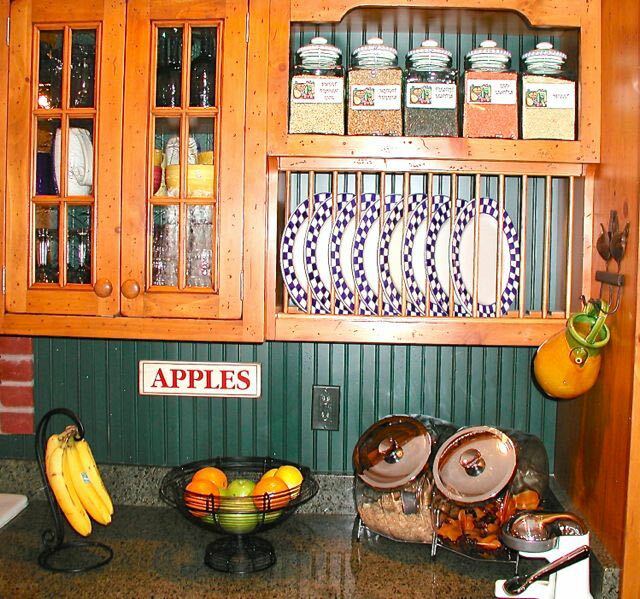 If you are in the mood for a sweet “comforting” treat that still delivers that Low calorie-High Nutrition ratio, another snack that I love to have handy in my fridge are my Simply Cinnamon Apples. You can eat them cold or a little warmed up in the microwave and they will satisfy that special feel-good need! I am going to show you in the little video-clip below how I make them in my own kitchen…hold on! Of course, I have lots of fresh veggies in the fridge too! You can have them sliced or in chunks in a tupperware ready to go, just plain, or with some hummus or a good salsa (make sure it has no added sugar–I like Green Mountain Gringo). Another great dip that I recommend that delivers that Low-calorie-high nutrient ratio with a rich taste is my simply spinach dip. I make a batch at the beginning of the week and have it ready to go in a tupperware in the fridge, it keeps very well and it goes beautifully with the veggies or wholegrain crackers. Some crackers I love are Way Better Snacks, Mary’s Gone Crackers (these were an acquired taste for me!! ), Garden of Eatin’, but there are many others, just check the ingredients list and keep it wholesome and simple! And, let’s not forget good old popcorn, but remember to keep it simple: just sprinkle with a little salt, and DON’T add butter, alright?! 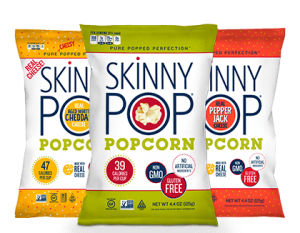 If you want to grab popcorn on the go, I recommend this great product, called SKINNYPOP! 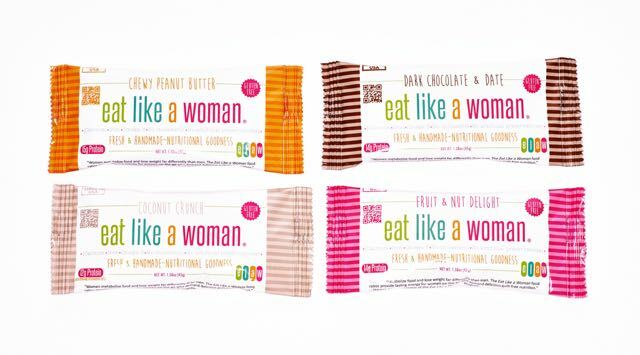 It has no artificial coloring, flavors or preservatives and they re super yummy! My kids love’em!! Before I continue with some other ideas for snacks, let me take you inside my kitchen and show you first-hand how to make that spinach dip (it’s so easy and quick!) and those simply-cinnamon apples I alluded to earlier: Both these snacks have a LOW calories-HIGH Nutrients ratio and I invite you to make them along with me this week…are you in? Continuing on my kitchen tour, notice the other big open-mouth jar on my counter! That one is filled with wholegrain cereal (our favorite are Nature’s Path Multigrain Flakes). David has them as part of his breakfast everyday, but we also like to munch on them like “chips”–it really is amazing how satisfying these are! If you pick a wholesome, high fiber, low sodium, low sugar brand, you’ll find it so much more satiating than chips because they are nutrient-dense. Barbara’s Bakery Morning Oat crunch (original)-–the kids loved those when they were little, for some reason Corinda entitled them “Titos”, I don’t know why, hahaha!— or plain Shredded Wheat are also great to munch on, and there are many others for you to choose from. Just put them in a ziplock bag to take with you! A handful of plain nuts or seeds–dry-roasted or raw–no added oils, salt or sugar– Walnuts, almonds, peanuts, pumpkin seeds etc… make a wonderful snack. 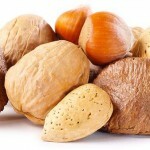 Nuts.com is a great resource that offers a “ton” of varieties, perfectly fresh–you can pick and choose (again make sure to pick those without added sugar and oils!). Because nuts are filled with nutrients and are so satiating, I have several snack recipes that incorporate them as well. My Katz Flax Crisps and my Chewy Granola squares are a great snack to bring on a hike or to put in the kids lunch box. Note that I specifically cut them in small squares because they are higher in calories so don’t eat a whole batch! 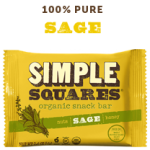 There are also some great On-The-Go snacks that I can recommend not only because they satisfy all of my (and David’s) picky nutritional standards and are yummy (of course!) but because these 3 companies are run by good people that we just love! Joy Bauer, from “Nourish Snacks”, Staness Jonekos, from NesstaLife “Eat Like a Woman” and Daniel Lubetzky from “Kind” are all dear friends of ours and they really know what they are doing! 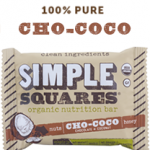 I also just discovered this really wonderful company, called Simple Squares and their organic nutrition bars are fabulous, nutrition-wise and look tasty too so I am going to give them a try and get back to you on how yummy they are! I would love your feedback on them if you try them too! So check these out too, I recommend them with love! Thank you for a reminder on healthy snacks. As a new mom they are life savers. I started to put several little brass bowls on the kitchen table. 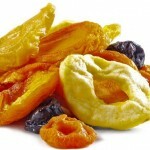 They contain almonds, walnuts, pecans, dried unsweetened sour cherries and sometimes raisins or prunes or dried figs. My little daughter and husband love them. For me they often are a life saver when baby girl keeps me from having breakfast or lunch. I can eat a handful of dried fruit and nuts and keep going until I finally get a break to make myself some real meal. Another thing I often use (instead of Greek yogurt) is fromage blanc 0% mg. BTW it is also a great addition to salads, making them very creamy. I will try to use fromage blanc for your spinach dip, since no fat greek yogurt is very hard to get here… should turn out yummy. Often we have fresh cut up veggies without a dip. But a yummy dip for the veggies is also babaganoui (oven roasted egg plant, garlic, lemon juice, tahini). Thanks for your great videos and encouragement. I always make my applesauce the way you start your cinnamon apples. The only difference is that I cook them longer and mash them. I do add more cinnamon to the applesauce than you but it is quite simple. I gather your apples are just soft and therefore can be eaten as “chunks” during the day. I’ll have to try this. I will also be doing the spinach dip. Just finished making the seared black rice and beans for a pot luck event. Always wonderful. I love that Marilyn, so happy you make good use of those apples! How was the pot luck event? did everyone enjoy the seared black rice and beans? Thanks so much for these great tips. I have recently changed my diet for a more healthy one and I see the difference. On my last doctor’s visit, all my test results were very good. So I am very encouraged. Keep sending us information Catherine, I appreciate it so much and I am sure your followers do as well. I AM WITH YOU!!!! 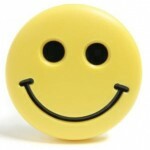 Thanks for your follow up blog with all your fantastic info and ideas!! Since your last blog, I have made a pact w/ myself, that whenever I open my computer, I have to have a bowl of raw veggies right next to me! (small tomatoes, sliced cukes etc). This way I know I’m sure to increase my veggie consumption for the day!! Love your website! 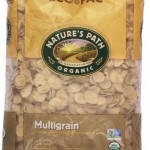 Where can I buy the Nature’s Path Multigrain Flakes? Titos!!! Hahah, to this day I love them! We always have so many great and healthy snacks in the house, I love being able to snack and feel satisfied and know that everything was healthy and nutritious. Love this! Thanks for all of your great healthy snack ideas- I am getting so tired of eating raw cashews and craisons!! I just ordered the breakfast flakes and look forward to making your “Katz flax snacks” (try saying that 3 times fast-ha!). I’m so happy you recommended Nuts. com. I’ve been ordering from them for several years and they’re located only 20 minutes from my home! This article is filled with so much useful information that I never thought of! Love thinking about food in terms of ratio: low calorie to high nutrient. Snack-organizing the kitchen is another thing I’ve never really thought about but def will in the future. My dad organizes his kitchen by cookies and cakes. Maybe I can help give him a little snack makeover. And my fave: the little organic flakes you can munch on as chips – gonna use those or get some small rice crackers or organic chips to go with mini-amounts of spinach dip for a nice, two-food-element snack. The challenge for my dad is that his teeth require a softer diet, and many snacks-on-the-counter are too hard on his teeth. I’m gonna try the Nature’s Path flakes for sure, and the chewy granola squares! But nuts, seeds, and likely dried fruits are out for him. Anything else you can recommend? Donna, I think your dad would just LOVE my simply cinnamon apples! They are easy to chew–you can pick apples that are particularly soft in texture–and they are so satisfying and nutritious! I’m in! Making your spinach dip, and apples! Will check out the websites you recommended….thanks for such healthy inspirations! YAY!! Tina, you are so welcome! let me know- howit goes!! 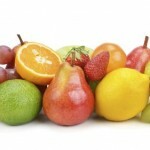 What is your take on freeze dried fruits and veggies? My 17 month old loves them, but sometimes refuses anything else. Hi Sybille, I think they are great! Good for your little one! I didn’t recommend them because we don’t happen to eat them in our household, so couldn’t comment on whether they taste good. 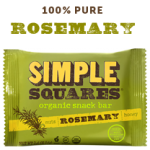 In case you are looking for some that have nothing added to them, there is a nice selection here: https://nuts.com/snacks/simply-veggies/ I hope this is helpful! Most taste fantastic. My girl’s favorites are the strawberries, mangos, peas, broccoli and corn. She also likes the roasted chick peas (they have some sunflower or canola oil) and the dry tart cherries (no sugar). She sometimes likes the freeze dried black currants – however they stain quiet badly so she looks like a mistreated beaten child after (black purple stains all over her face). When she sees the nuts.com bags, she gets excited, because she knows they contain something yummy. 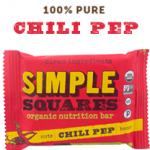 We also have quinoa pops as her morning or sometimes snack cereal with plain white mountain (full fat) yogurt.